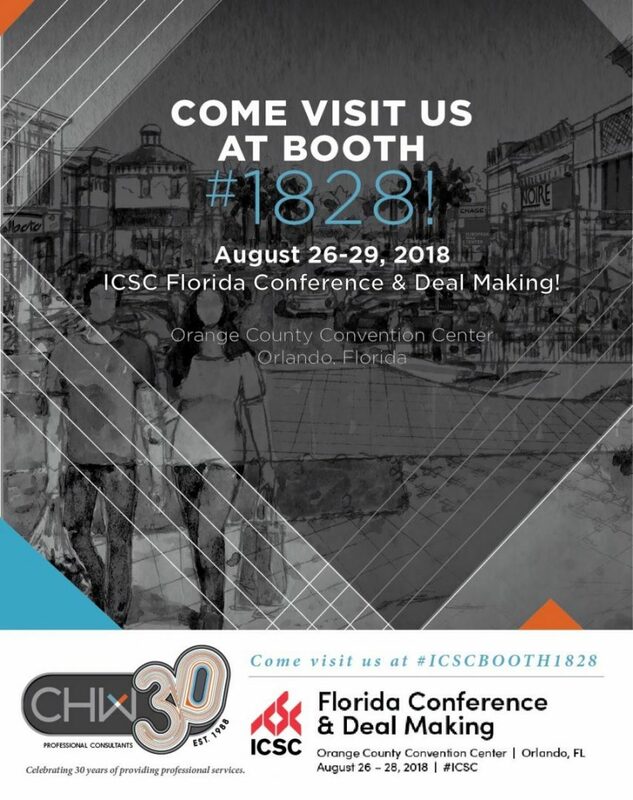 CHW will be at ICSC Booth #1828! The ICSC Florida Conference & Deal Making will bring together owners, developers, retailers, brokers, lenders, municipalities, property asset managers, and product and service providers for networking and learning about the retail and real estate industry. It will include educational sessions, special industry groups, retail real estate trends, and retailers. Come visit us at booth #1828!